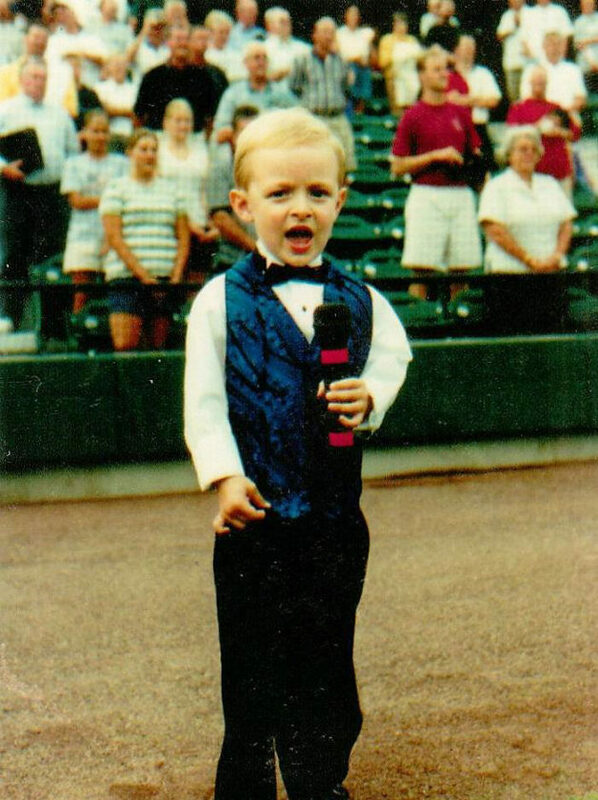 Mason McGinnis sings the national anthem when he was just 3 years old prior to a Curve game at Blair County Ballpark in 1999. Editor’s note: This is the fourth story in a series looking back at various aspects of the Curve as the franchise celebrates its 20th season. There have been hundreds of wonderful national anthem performances at Curve games over the years, but still to this day, none of them have topped the one from the franchise’s 49th home game on July 19, 1999. As the picture above shows, 3-year-old Mason McGinnis was all fancied up and looking like a star when he took the microphone behind home plate at Blair County Ballpark. Then the little tyke from Altoona started to sing “The Star Spangled Banner.” And he absolutely nailed it. The crowd for that night’s game against Erie was 4,515, plenty to make such a young child nervous. But little Mason wasn’t nervous. Like a seasoned pro, he sang the song, got all the words correct, didn’t try to overdo anything and was, in a word, sensational. It’s hard to remember much from when you were 3 years old, but Mason does have some foggy recollections all these years later. Truth be told, I’m in awe of a 3-year-old being able to handle such a public performance. We do a lot of singing in our house, and my 5-year-old son, Chase, says he wants to be a rock star when he grows up. But I just cannot imagine him, even at 5, being able to pull off an anthem performance without getting nervous or flubbing some lines. As I’ve talked about some of the Curve’s coolest moments with countless people over the years, little Mason performing the anthem is a story that has been shared dozens of times. Amazingly enough, he was only 2 years old when he took part in the anthem tryouts prior to the season, and a few months later, there he was making his singing debut at the ballgame. 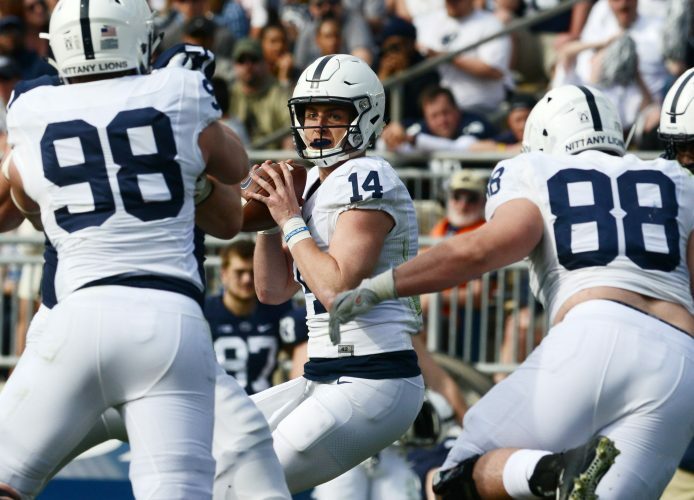 Mason’s dad, Terry, also has heard from many people who bring up his son’s memorable performance. We are living in sad times. This is a time when talk of our national anthem elicits bad thoughts, frustrating conversations and endless debate. We have the right, and frankly, the obligation, in this country to protest injustice. Pro football players have been doing that by kneeling during the anthem the past couple of years, but their actions have infuriated many who say it’s disrespectful to the country and the military. It’s a complicated issue. At a minimum, we should try to understand both sides, even if we’re aware it’s hard to come by answers that will please all parties. I don’t care for kneeling during the anthem, and I certainly don’t care for burning the flag, which was a topic in the movie. But the point of that speech is that however strongly you feel about an issue, there’s someone on the other side of the aisle who feels just as strongly about the opposite of your beliefs. And what makes this country wonderful is that we have the freedom to debate, argue and protest what we believe in, even if it goes against the establishment. * A Pittsburgh Pirates game at Three Rivers Stadium and a Houston Astros game at Enron Field when he was 4. * At Oakland A’s and San Francisco Giants home games when he was 5. * A Philadelphia Phillies game at Veterans Stadium when he was 6. * At the Little League World Series in Williamsport when he was 8. It probably comes as no surprise how Mason feels about the anthem issue today. “All I can say is that there is only one way to honor the Americans who fought for our freedom in the past and present — to stand at attention during the national anthem with your hand over your heart,” he said. It was wonderful to see a 3-year-old pull off a terrific anthem rendition at that Curve game in 1999. And for most of the years since then, the national anthem stood only as a point of pride when it was played at sporting events all across this country. It would be wonderful if we could get back to that.